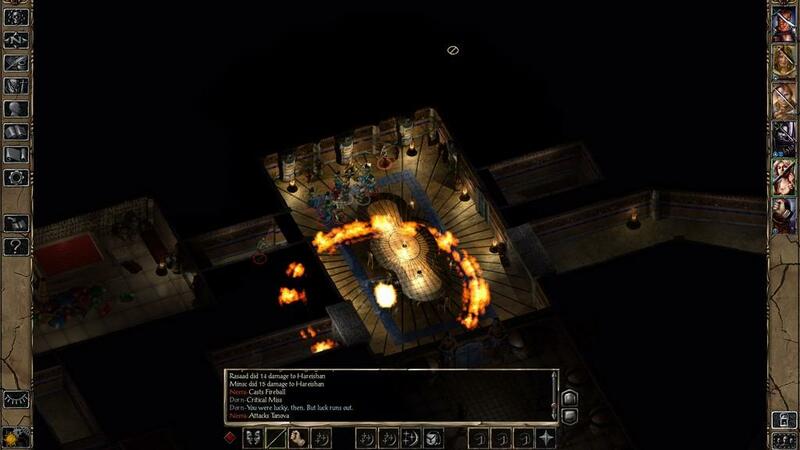 It hasn't gotten any easier reviewing an expansion since the last time, when I reviewed “Baldur's Gate: Enhanced Edition” (BG), the first chapter of the series. 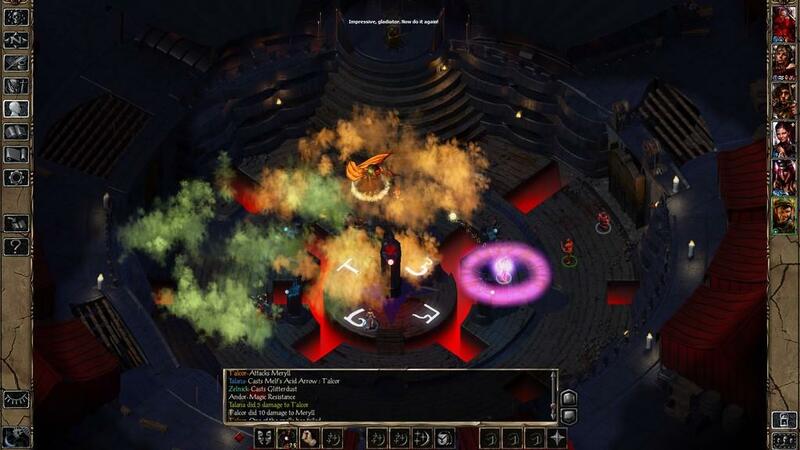 Apparently that one sold well enough as they have come out with “Baldur's Gate 2: Enhanced Edition” (BG2). This edition includes both the “Shadows of Amn” original material and the “Throne of Bhaal” expansion, along with a gladitorial-style add-on and other bonuses. 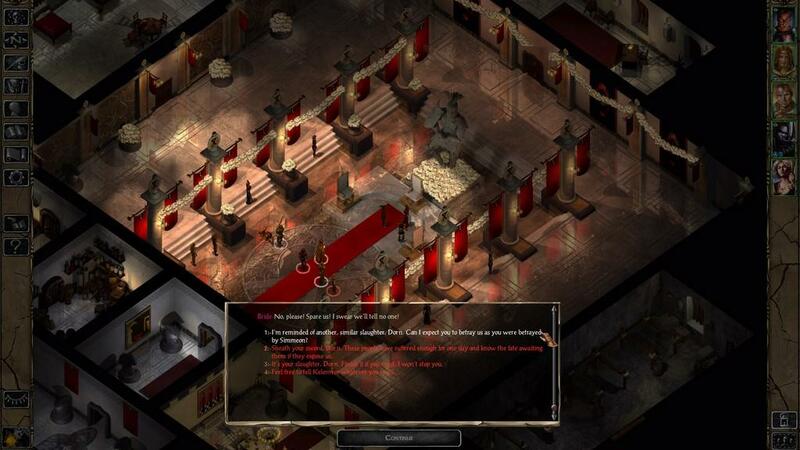 The good news is that BG2 is, if anything, a better game than BG. 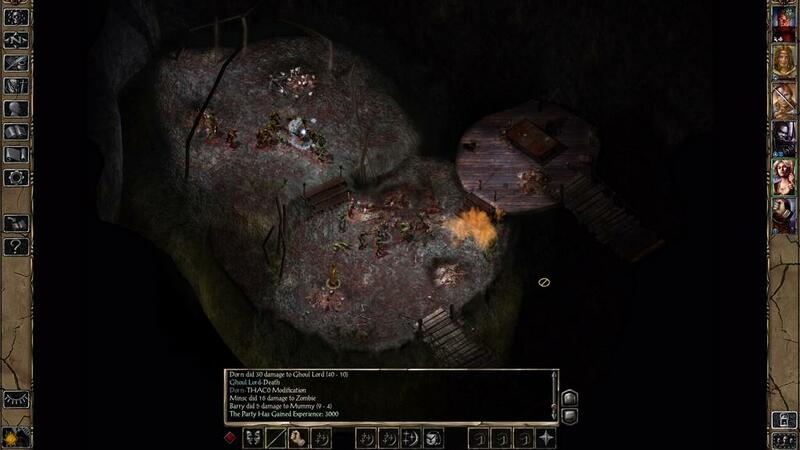 There are some who would say that BG2 is the best RPG ever made for computers. 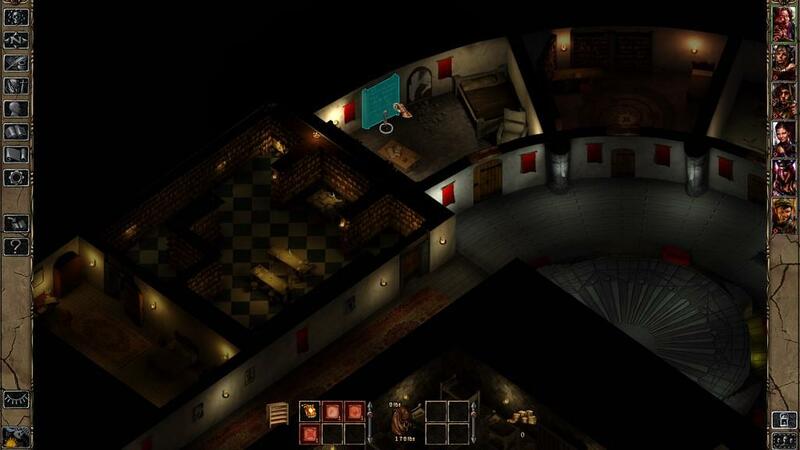 The job of Overhaul Games was not improvement, then, but more one of restoration, although they could not resist a few additions here and there. 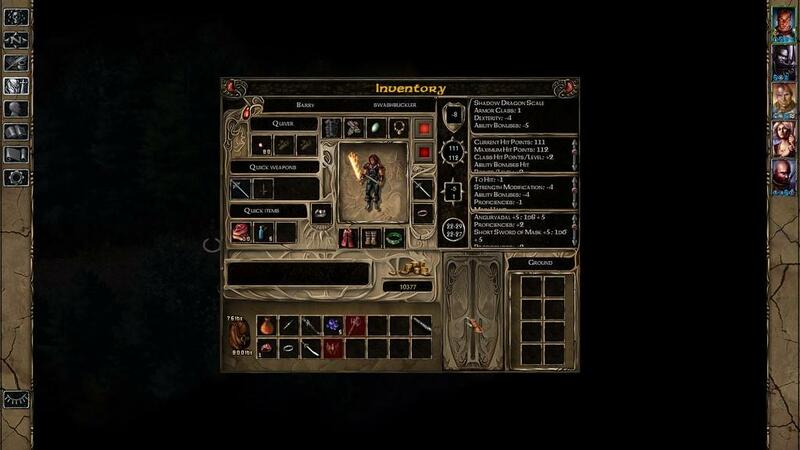 Not that BG2 needs any additions. The thing is huge. Just jaw-droppingly expansive. A direct walkthrough of the main quest, with minimal restores and retries, can come in at over 60 hours. Expect mere mortals to take more like 80-100 hours. And that is just “Shadows of Amn”. The “Throne of Bhaal” expansion can take another 40-some hours. This is just the main quest – the various sidequests and places to explore can eat up at least that much time on their own. Odds are you will be interested in another playthrough after you finish. There are lots of ways to get through the game, and it plays differently each time. You might want to try a different party mix – test out being fighter-heavy vs magic-rich vs stealthy – and the quests open up new facets. Or you might want to try an evil party rather than a good one. There should be some sort of measurement comparing game length vs cost. Some games, fun as they are, seem to end way too soon given how much one paid for them. 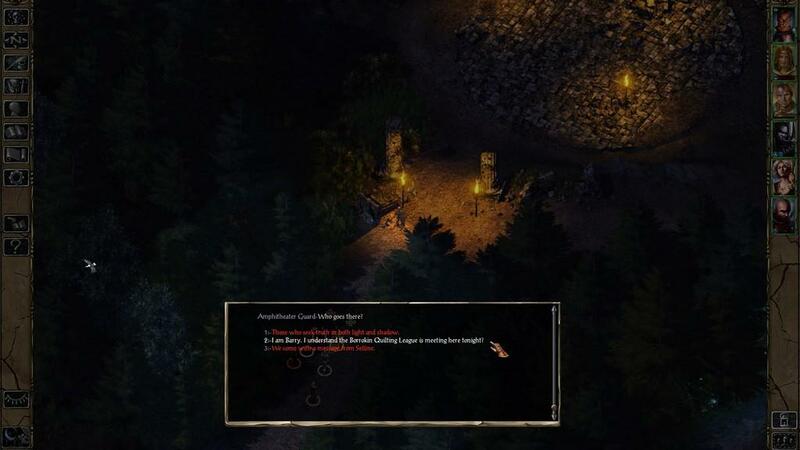 This will not be a problem with BG2. Not all of this length is based on a good story and interesting locations. Some of it results from a difficulty setting that makes strong men weep, combined with a ruleset that makes smart men tear out their hair. There will be times when your party walks into a room and is insta-killed. It will take you 15 minutes to decipher the arcane terminology of the battle description so you can figure out what semi-arbitrary action you should have taken before opening that door. Welcome to the world of old-school RPGs, and welcome to the wonder of 2nd edition Advanced Dungeon and Dragons. 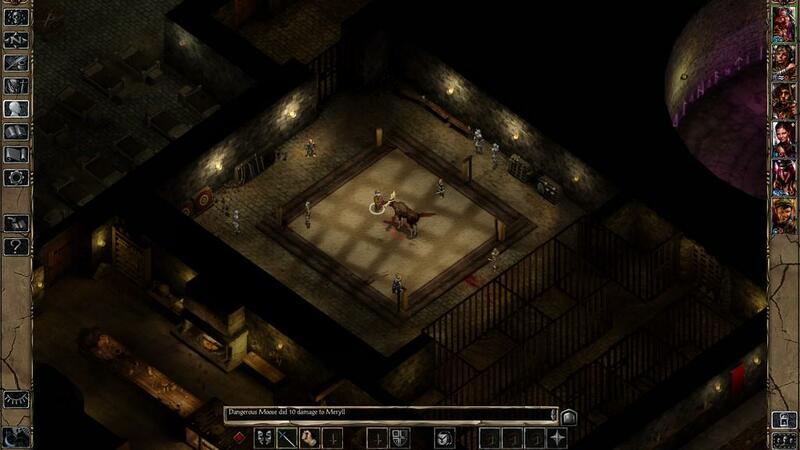 So if the game is hard, the mechanics unfathomable, and the combat too random, what's so good about BG2? Simply put, your character's life is hard, mysterious and chaotic. You and your character share a journey in your attempts to impose order and meaning to the world. Luckily you will have friends along the way. 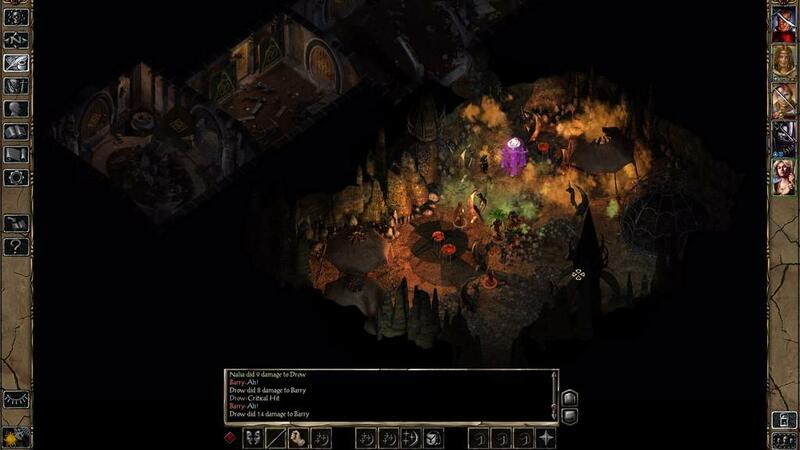 There are 17 NPCs carried over from the original version, along with the 3 new ones introduced in the first Enhanced Edition: Rasaad yn Bashir (a monk), Neera (a wild mage) and Dorn Il-Khan (a half-orc Blackguard). The new NPC is Hexxat, an evil thief. They each have their own side-stories to play though, and add even more variety to the world. Hexxat's quest, in particular, is worth doing, although part of her story is only available if your character is female. The new characters generally fit in pretty well although their dialogue can sometimes sound a bit “modern” compared to the old-style, completely earnest dialogue of the original cast. The voice acting for the new NPCs is up to the high standards of the original group, also. Oddly enough, it seems like the evil group members are overall more powerful than the good ones. There are some in-game mechanics that balance this out, but it does seem unusual in that respect. The story, characters and combat are all good, then. But this is the Enhanced Edition. What does it bring to the table? 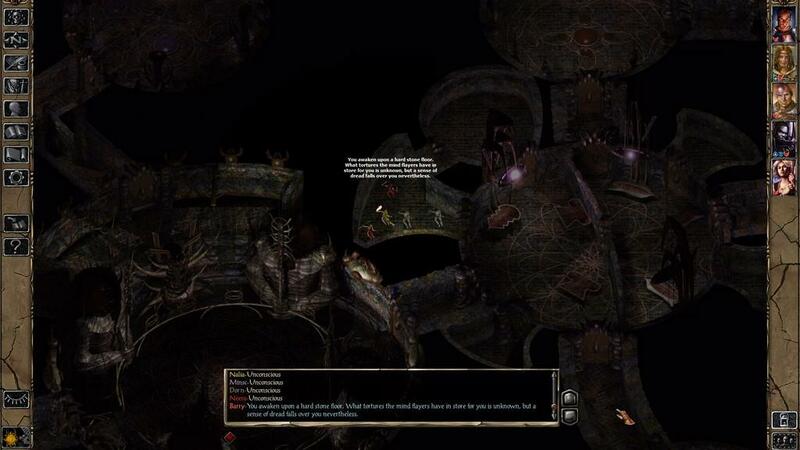 The original BG2 had lots of bugs. The Enhanced Edition also has lots of bugs. 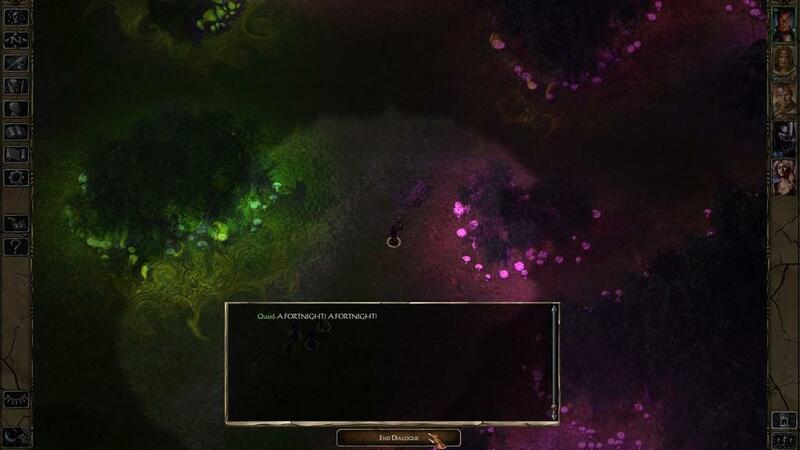 You will want to save your game often and not just in case combat goes badly. Patches will certainly come, but one wishes that a remake would have more success in fixing bugs. After all, we know what they are by now, right? 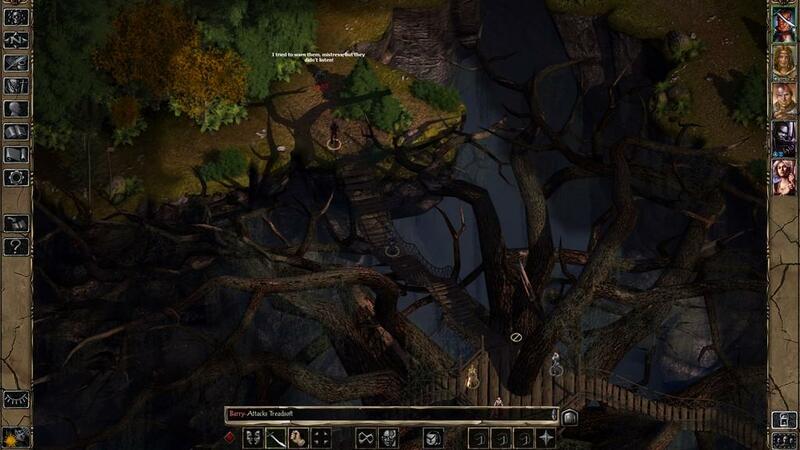 The path-finding continues to be truly awful. It may be worse than the original, as the stakes are higher. 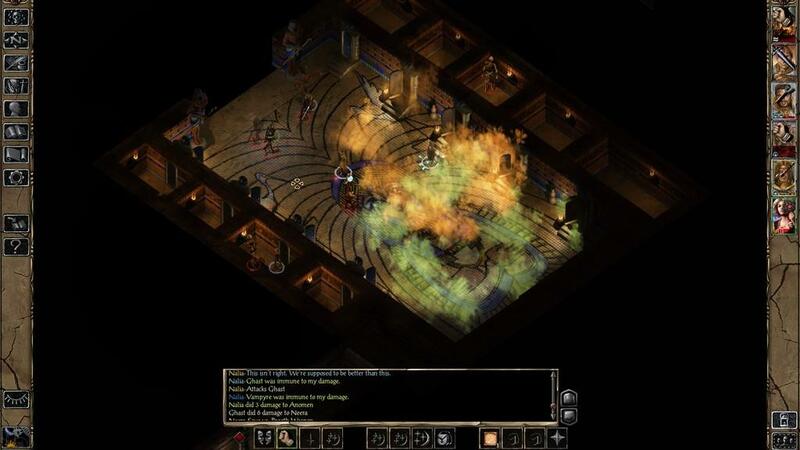 High-level magic effects require greater intra-party coordination (fighters hate getting caught in the middle of a friendly fireball), which means that party members have to go where they are told when they are told. Your mage should not be wandering down some stupid corridor halfway across the dungeon when you told him to go just around the corner. Yet, so many times, that is exactly where he will be because the guy who was supposed to implement pathfinding had something better to do. Perhaps he cannot find his way to work? The graphics have been mildly improved. A greater variety of resolutions is supported, which is nice given the way graphics technology has progressed since the original release. There are plans to also support iOS and Android: the website promises them soon, and the Enhanced Edition of BG came out for iOS, so it should be just a matter of time. I am not sure how this would look on a phone (my guess: small) but it would work well on a tablet and be a nice alternative to the more casual games out there. If I might repeat myself from my previous review: one can pay just $10 to get the original and download a few mods. Doing this will yield an almost identical game - all of the main quest and most of the side quests will be there. So is it worth paying the $20 to get the “Enhanced Edition”? 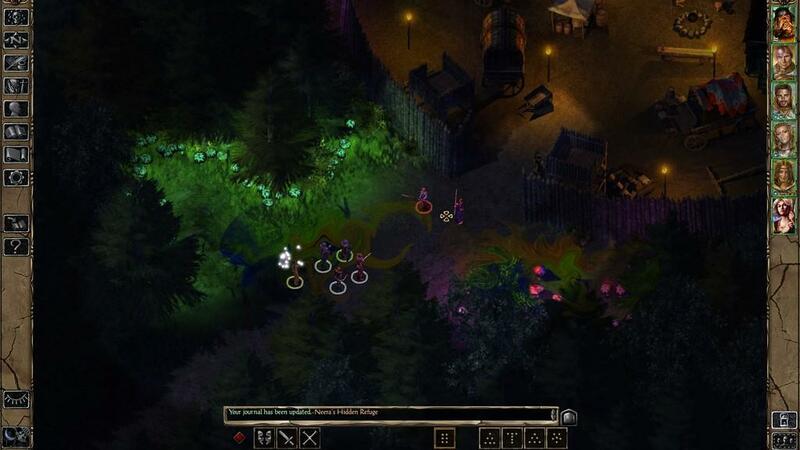 There are three reasons I can see: iPad and Android support; the additional characters; and the possibility that if this works out they will make “Baldur's Gate 3”, which would be neat. 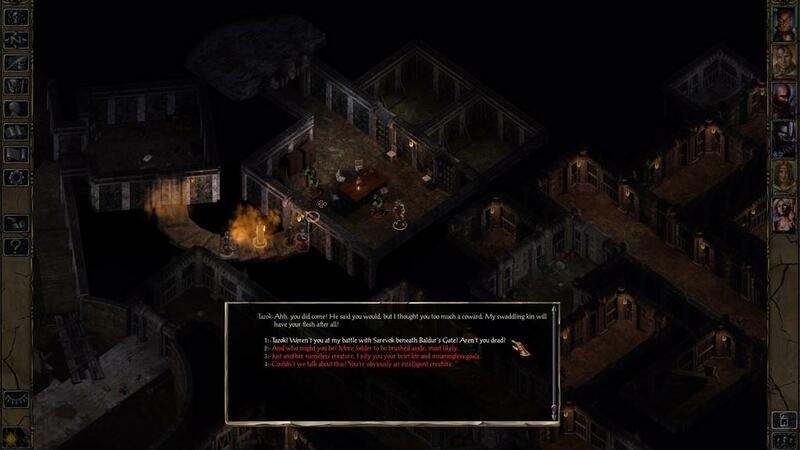 In summary, “Baldur's Gate 2: Enhanced Edition” is pretty much just the original game running on a new engine with some minor extras. 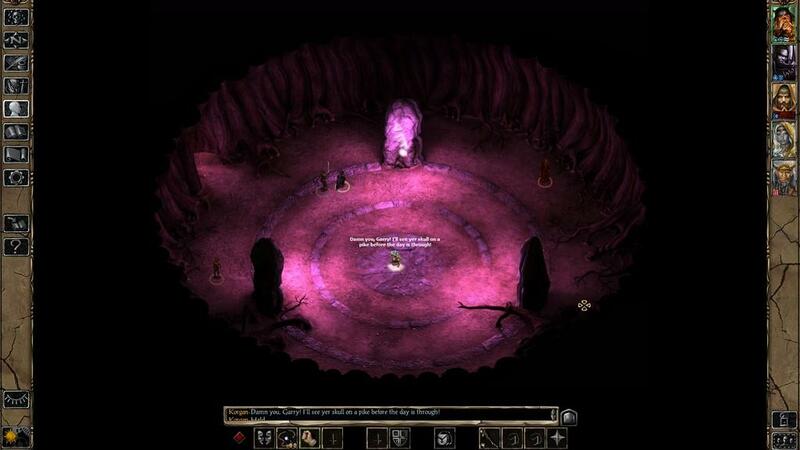 The original game is a classic - every serious RPG fan has either played it or should. The Enhanced Edition wraps the original and its expansion into a convenient package and adds some nice additional material. The original game is a classic. 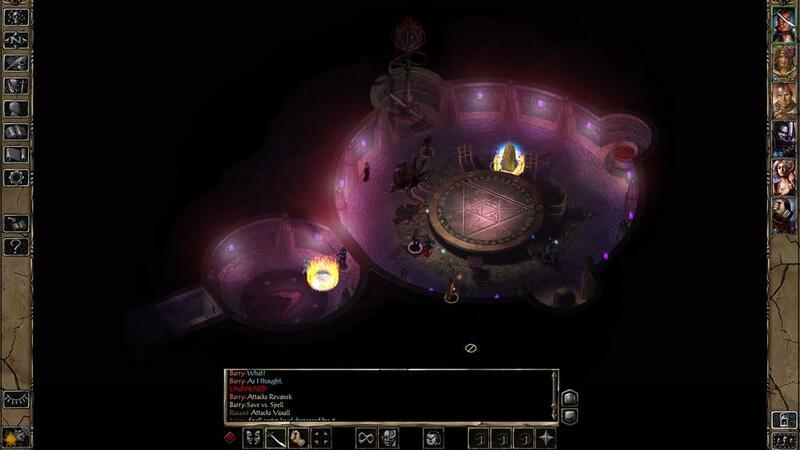 The “Enhanced Edition” is a near-clone, with some additional content. 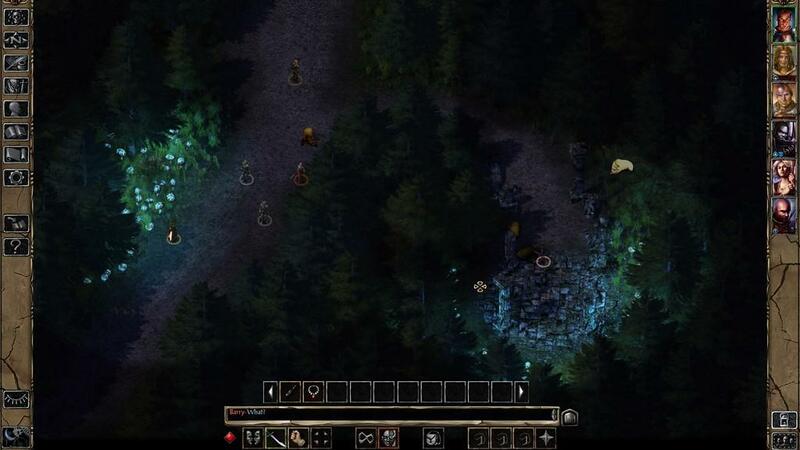 If you haven't played it before, or would like a deep RPG to put on your tablet, this is a good buy. 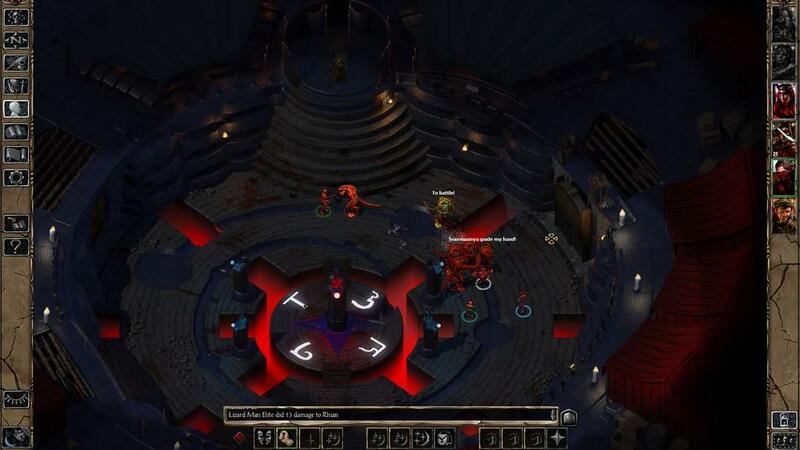 It is $20 for the Enhanced Edition vs. $10 for the original + mods (some assembly required) – give these guys your money so they can make “Baldur's Gate 3”.